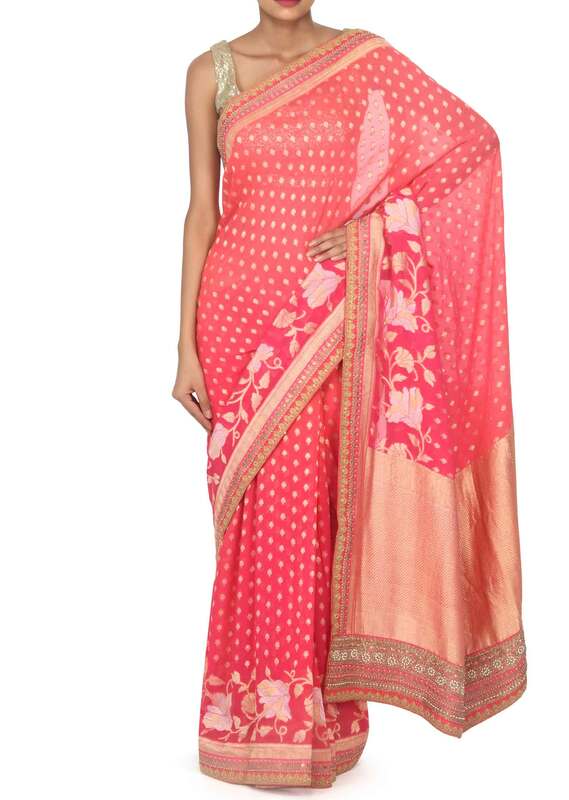 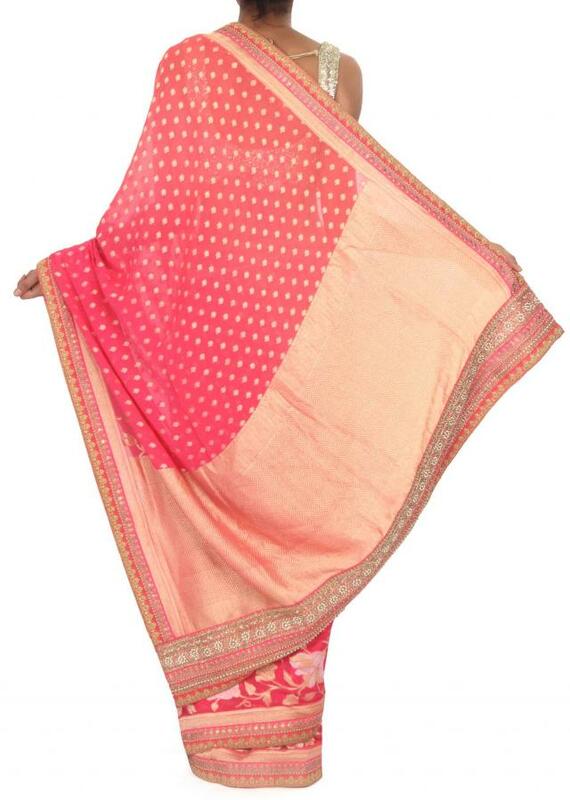 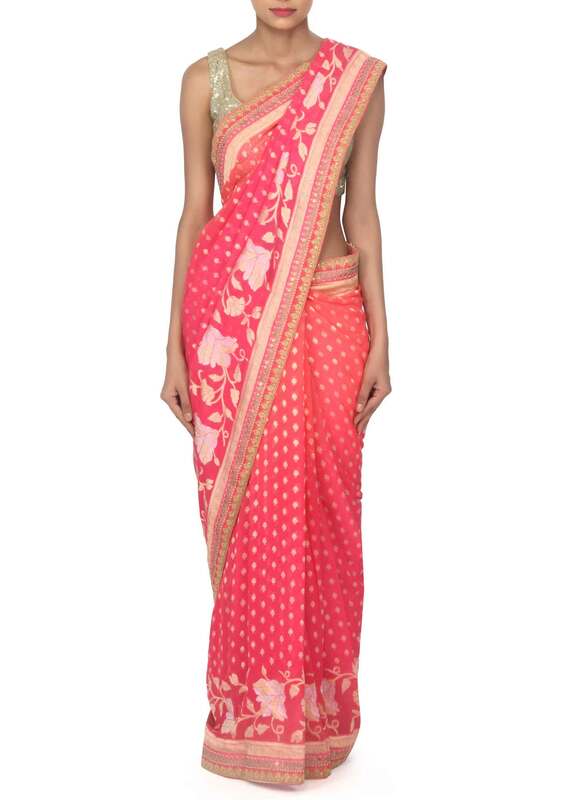 Shaded saree featuring in peach and coral georgette. 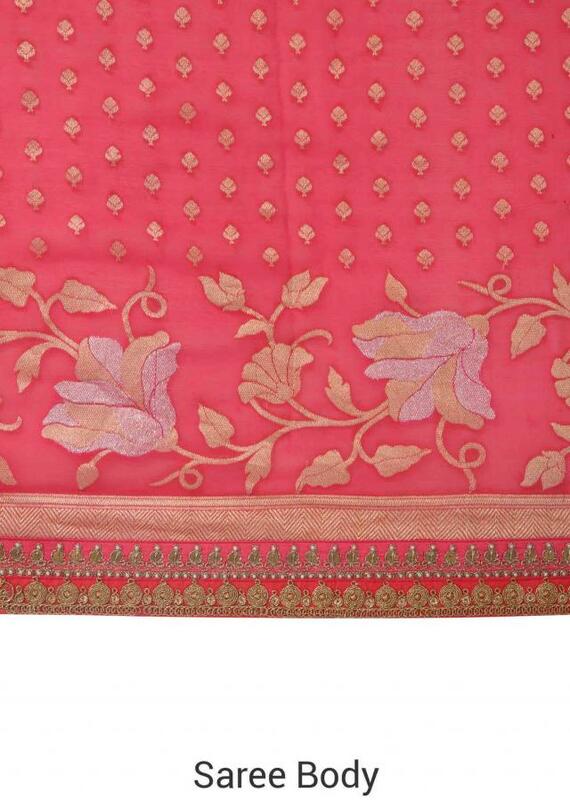 Border is highlighted in kundan and zari embroidery. 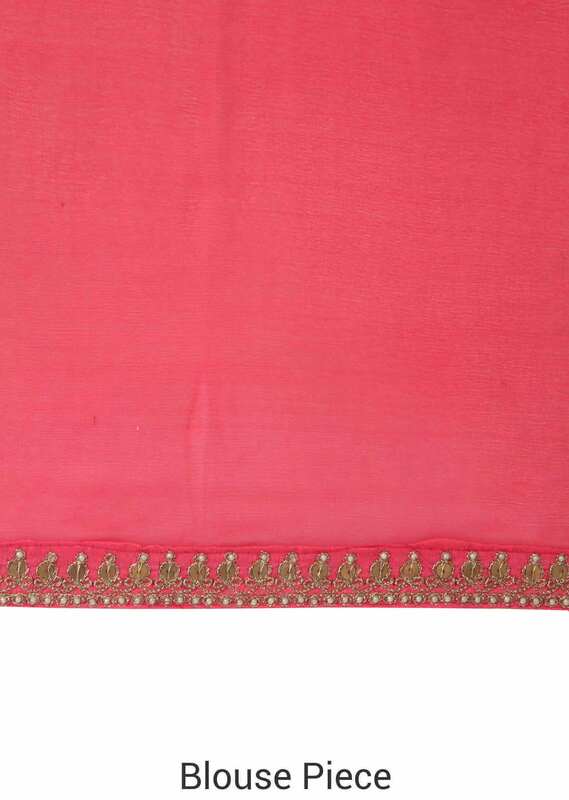 Blouse is unstitched in pink crepe.